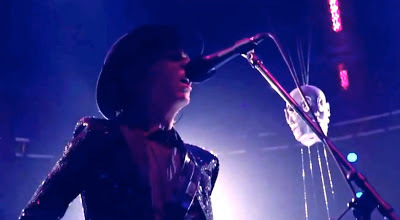 New Music Matters: Beck Reimagines Bowie's "Sound and Vision"
As promised, Beck has released a "reimagining" of David Bowie's epic song, "Sound and Vision" as part of the Lincoln car company's "Hello, Again" campaign. Pitchfork reported today how he worked with director Chris Milk to create a live video of a performance at Fox Studios, which included over 160 musicians and dad David Campbell conducting. 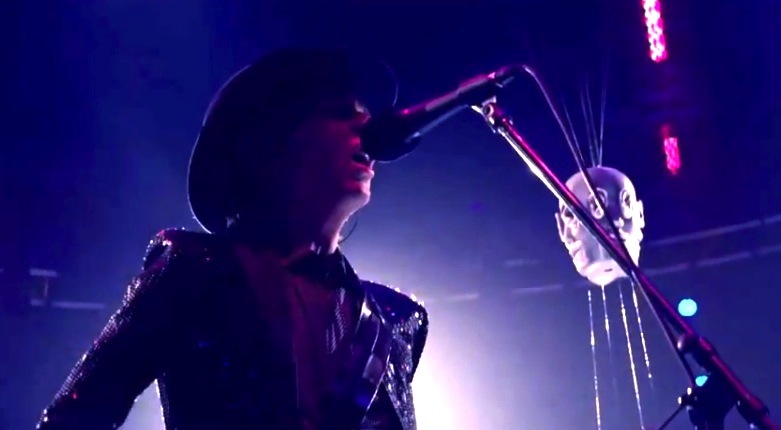 The impish musician strolls out in a glittery jacket, fedora and acoustic guitar in his hand, to a small stage in the middle of this theater in the round set up. The musicians warm up becomes part of the weirdly percussive introduction, before the famous tune takes over and we're all along with the ride -- Beck included.